Although this musical had its first Broadway opening back in 2006, it had to wait until now for finally having a cast recording release. The good news is this is the perfect Christmas present for all musical fans. With a score by Mel Marvin (music) & Timothy Mason (lyrics) and a good orchestration work by Michael Starobin, this is a highly enjoyable recording for people of all ages. The music is tuneful and, although this is a moralistic story, the lyrics have a funny edge that works. 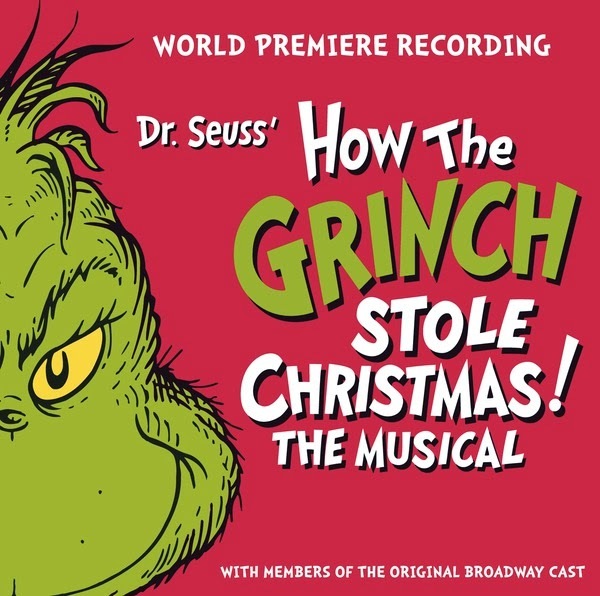 One of my favorite moments is when Cindy Lou sings “Santa for a Day” and The Grinch says, “oh, it’s a ballad” – hilarious. Besides the new songs it also includes the ones from the original animated series with music by Albert Hague and lyrics by Dr. Seuss. 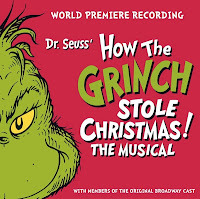 Of all the new songs the one that stayed in my mind is the truly musical “One of a Kind” sung with gusto by Patrick Page as Grinch and Rusty Ross as Young Max; this two actors sound perfect in the roles and so does John Cullum as Old Max. Page and Ross also delivered another of the best songs “This Time of Year”. The company of Who’s has a great time with “Who Likes Christmas?” and the entertaining “It’s the Thought That Counts”. The happy ending may bring a tear or two, but that’s part of the deal. I believe this recording may become a Christmas favorite in many musical lovers’ library, it already is on mine.